There’s nothing quite like bopping your head to thumping bass as you ride in your car. Let’s face it, the factory stereo systems that come with the average car just does not do justice to our playlist. So, in our review today, we are going to show you not just the best car subwoofers. We’re also going to show you the best car subwoofers that fit your personality and car space. Now, we know it might not be easy making that choice, but that’s why we are here to show you how. You’ll have to check out for power, sensitivity, impedance, and of course, the space of your car. All these you’ll learn from our review. But in addition, you’ll also get to see our top ten best subwoofers ever. Rockford Fosgate 12-Inch Subwoofer Enclosure – Best Bang For The Buck! 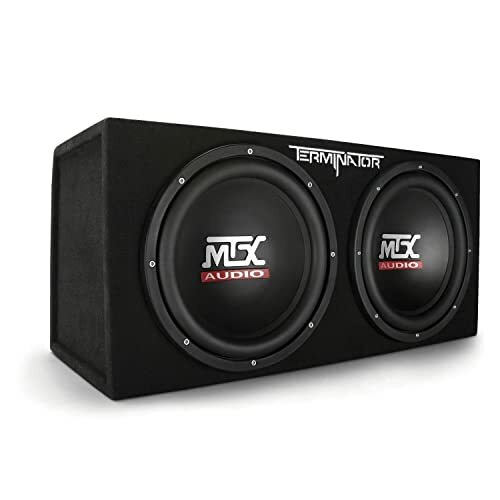 Dual Electronics BP1204 12inch Enclosed Car Subwoofers – Best Sub Under $100 With Awesome Aesthetics! The JL Audio 12-inch Single 3-Ohm Subwoofer or simply put, the W7 is one of the top-of-the-line subwoofers in the industry. The engineering on this bad boy is obviously wicked, and the technology is advanced. JL Audio employed six of its patented advanced technologies to give this sub the edge that it has. The W-Cone Technology: With this, the W7 delivers on rapid and accurate response. So, you end up getting bass that is completely distortion-free. OverRoll: This helps the W7 deliver on bass without compromising on linearity. Floating Cone Attach Method (FCAM): This cone-bonding technology helps during a long excursion, to keep the voice coil centered. Plateau-reinforced Spider Attachment: This is like a collar on the voice coil. And it helps to ease stress on the spider so that your sub remains reliable even during an extended excursion. Elevated Frame Cooling and Cross-Drilled Pole-Piece: A cone pumps air through the vents on the frame and the holes machined on the pole piece. This helps to keep the voice coil cool at all times. So, altogether, this sub delivers high on performance and accurate response. And it does this by maintaining a linear motion when there’s an extreme cone travel. Also, the cast-alloy basket and the extra-long voice coil alongside many other features work together to ensure that your bass is natural, profound and life-like. And although this is just a 3 ohm sub, it should still deliver powerfully like a 4 ohm sub. Highly durable – keeps delivering powerful sound after a long period of use. The Orion HCCA Black Coil Series 12 Inch Subwoofer, aka the HCCA 12, is a monster. It’s very beefy and produces quite a mean sound. If you want people feeling the vibes as you drive by, then you want to check out this sub. It is stupid loud. In this 2018 model, Orion has stepped up its game by stepping up the quality of the voice coils in this guy. This voice coil now gives a much better power performance. Plus, it also gives the sub a better temperature control ability. Now, that said, this bad boy is not for babies. It’s for the big boys who want nothing short of the baddest bass. So, when you get this, you’re going to have to do a lot of upgrading to your entire power system. You sure are going to need a big amp that’s powerful enough to push this sub. Thankfully, Orion included replacement voice coil, cone and spider. Well, it seems the brand knows that you’re going to try to blow this speaker to smithereens. But who can blame you? This thing works! Now, watch out though, this thing is pretty heavy. It weighs close to 80 pounds. So, it might demand a bit of physical exercise to lift this from the ground. But by the time you install it and the sound begins to boom, you’ll see that it’s worth it. From customers’ reactions to this sub, we have no doubt that you’d be highly impressed by it when you get it. This sub is definitely worth the money, no doubt. Comes with replacement voice coils/spider/cone. 3 Rockford Fosgate 12-Inch Subwoofer Enclosure – Best Bang For The Buck! 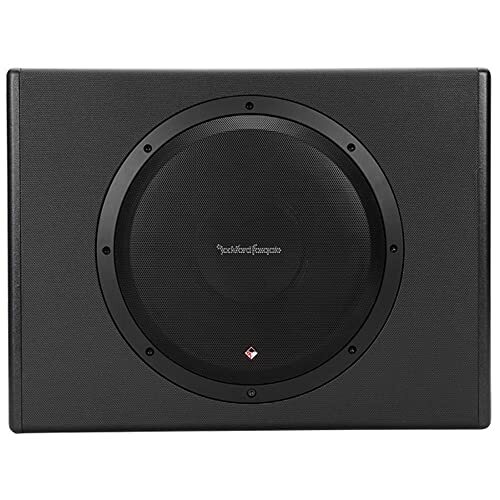 If you’re looking for a sub that will deliver deep bass, then you’re looking for the Rockford Fosgate 12-inch Subwoofer Enclosure. This comes in a conical shape and also features an aluminum and dust cap. These added features are supposed to ensure that your sub remains durable for a long time. You don’t have to worry about playing your music at full blast for prolonged hours. The sub comes with an excellent capacity for power handling. So, the voice coils are protected and can take a heavy load for extended periods. And it’s not just the voice coils. Every aspect of this sub was built to last even if you play at full blast for long periods. There’s the stitched tinsel leads which increases resistance to damage that could occur from a high current. You won’t have to replace this in a while. As for installation, this baby is a breeze. You can probably do it yourself, that is if you’re that kind of person, of course. The screws you’ll use to tighten the woofers are quite adjustable too. So, your woofer isn’t going to be at a fixed handle. Now, instead of 2 ohms as you’ll commonly find, this provides 4 ohms. So, audio quality from this sub is quite improved. And also, its peak power rates at 1200W and in most cases, that will be more than sufficient. Altogether, we think Rocksford did a pretty good job even with the design of this sub. It’s almost flawless. Definitely worth the money. Comes with a 4-ohm amplification. Audiophiles will not be satisfied with the level of bass this delivers. Let’s just say it’s not deep enough to rattle your kidney or something. This is a very affordable sub solution. It’s portable and well protected so that it can endure the ups and downs of a moving vehicle. And thanks to their lightweight, you’ll find this very easy to transport. When playing music extra loud on powerful speakers for long periods, the atmosphere could get heated. And so, MTX tries to resolve this by installing the Spider Plateau Venting. This is a cooling procedure to keep the air around the voice coil cool. The bass is also quite loud with a somewhat impressive presence. As for the appearance, this sorta looks good. It’s simplistic, minimalistic and won’t look odd wherever you install it. Now, we need to remind you that the MTX Terminator is an entry-level sub. So, if you’re just venturing into the world of subs, this is a great place to start. But for those who want to replace their current subs or those who’ve had some experience with subs, this won’t do. There’s most likely something you’re looking to hear when you think of subs, this most likely won’t give it to you. But then again, it is very lightweight, and so, it is quite portable. You’ll find this very easy to move around. So, altogether, this gives a decent bass, doesn’t cost so much and is quite portable too. Spider Plateau Venting to cool the unit. Amateur subs at best. Not for audiophiles. 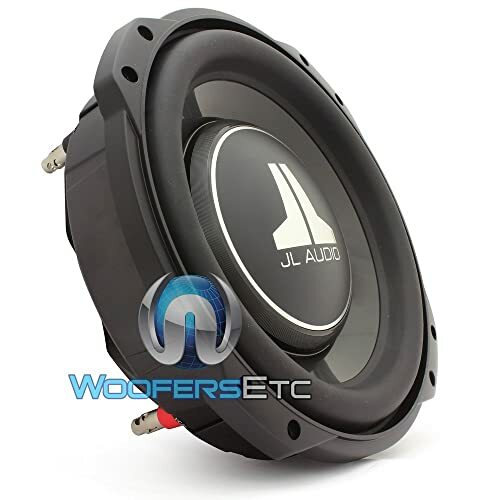 For those with vehicles that have tricky spaces to work with, check out the JL Audio 10TW3-D4. It’s a sub for people with a sports car or a pickup truck, cars where it will be quite challenging to fit a sub into. It delivers a powerful bass and yet requires only very small space. So, you don’t need to bring out the big enclosures, a small sized one will do. 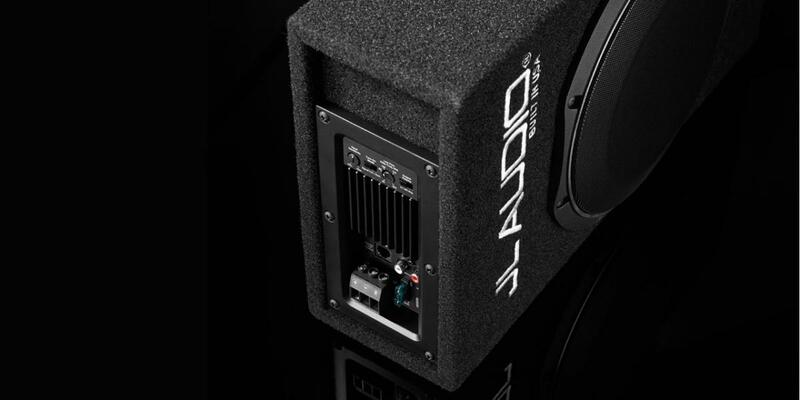 Yes, we are saying that you can have your space and your bass when you get the JL Audio Shallow-Mount 10. We love how JL Audio uses its amazing engineering to build us a sub that’s slender and yet powerful on delivery. Now, if you check out the cone, it’s super tough and made of propylene. And this means that even under high power, the cone won’t flex. Plus, the rubber surround is large and durable, and so it moves large amounts of air to keep your unit cool. As for the frame, it’s only about 3.35 inches in height. But it’s still sturdy enough to accommodate the sub stably. Now, if you truly want this bass to shine, then you will want to hook this up with a mono amp. Thanks to its dual voice coils, each 4-ohms, this sub will work perfectly with a mono amp and deliver optimally. Also, try driving this sub up to 400W RMS, the result will impress you. NB: You want to use an amp that measures between 300 and 600W RMS and an impedance of 2 ohms for the best results. So, altogether, this might look low-profile. But don’t let that fool you, the bass from this is huge. Comes in a shallow-mount design and only requires a small airspace. Awesome performance for the size. You can get a more powerful bass from similar models from other competitors. Here’s another subwoofer that’s great for those with a limited space to work with. Even though it’s like a MicroSub, as JL Audio, it still delivers on the optimal sound that you’ve come to expect from JL Audio. This unit comes as a MicroSub plus an enclosure. And this unit also comes with a built amp (Class D) which means that your sub already comes powered. The amp powers the sub up to 400W RMS. Now, let’s check out the build of this thing. In usual JL Audio fashion, the brand uses only the most exquisite and state-of-the-art materials to create this sub. The makers designed the MDF enclosure using a rugged automotive carpeting. This gives the enclosure the high level of quality that it comes with. Also, other parts of the sub such as the steel-mesh grille, internal wiring, and 5-way binding posts are also solid and high quality as well. No surprise there seeing the brand we are dealing with. Now, because the enclosure is really small, just a little over 5 inches, it will fit just about anywhere. And thanks to its slot-port that comes in a flat design, you get clear and rich bass without all the problems of air turbulence. This sub will definitely deliver on that low-frequency response you love. Like we mentioned, this sub already requires a small footprint. But there’s still something you can do if you need some more space. All you’ll need to do is to take off the power connector. And then you can take the sub out of your vehicle and have your much needed space. Great option for limited car spaces. 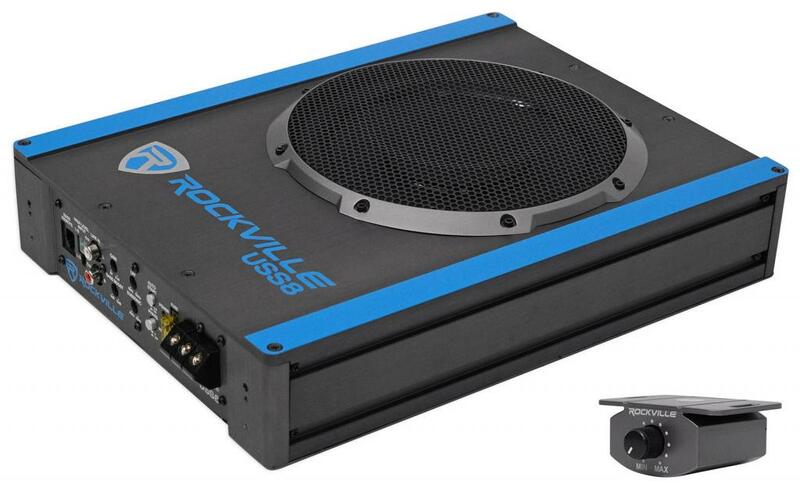 And thus we present to you yet another powered car subwoofer – the Rockville RW10CA 10inch Powered Car Subwoofer. It is a great subwoofer option for people with really small cars who cannot afford the space to store a subwoofer in the trunk of the car. If you’re one of such people, then you should consider getting a subwoofer which you can store either under your seats. Or you could get something that you can connect to your seats. If you’re going to get such subwoofers, then a slim profile is important. You don’t want something that gets in the way of the passengers that might get into your car. In that case, the Rockville RW10Ca makes an excellent choice. It comes in a very slim profile. Check it out. It measures at 12.4 x 13.4 x 2.7 inches. And so it’s a very popular choice in the US for people who need a slim sub. If you’re worried that the slim profile would affect the bass, you need not worry. This subwoofer packs an 800W peak power and a 200W RMS power, so it suffices in many cases. 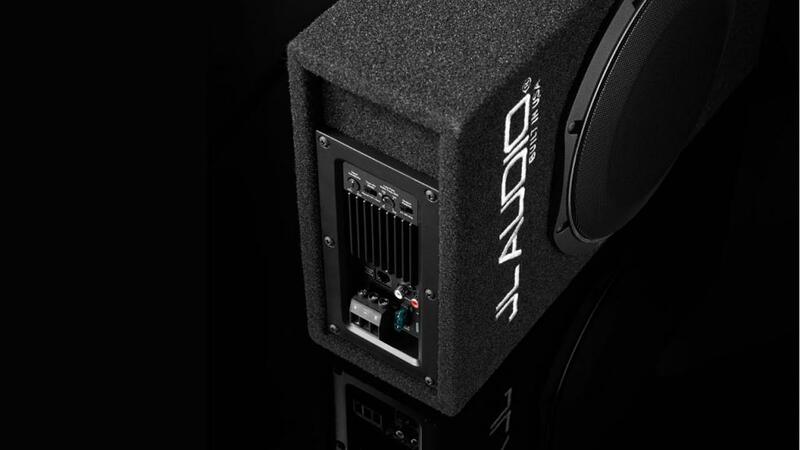 We have to admit though that this subwoofer might not produce a bass as deep as JL Audio would. But then again, JL Audio isn’t exactly cheap. So, compromise? Since this is already powered, you won’t have to bother with wiring and setup. It’s a simple plug in and play. Slim profile – works for limited spaces. This is a powered sub so you don’t need to set up. Simply plug in and play. Does not provide deep enough bass like competitors (e.g. JL Audio). Yet another shallow mount sub on our reviews. The TS-SWX2502 is one of the best in the market. It is well-built and comes with a pre-loaded enclosure. And it is slim enough to fit into most spaces under the back seats of most vehicles. Now, let’s check out the component parts of this sub. 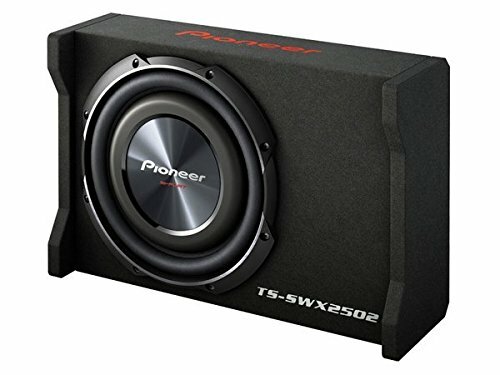 The TS-SW2502S4 shallow mount subwoofer comes with an oversized cone structure. This oversized cone allows you to fit in a relatively larger cone plus a gasket surface. But the amazing part is that, because the cone is oversized, you won’t have to alter the external dimensions of the cone to fit. Also, to enhance the performance of this subwoofer, the unit comes with a dual spider design. This design helps the sub to achieve better cone motion control. And it also supports linear movement so that the sub can deliver on a more accurate bass response. And did we mention that this sub is a slim profile? Of course we did. 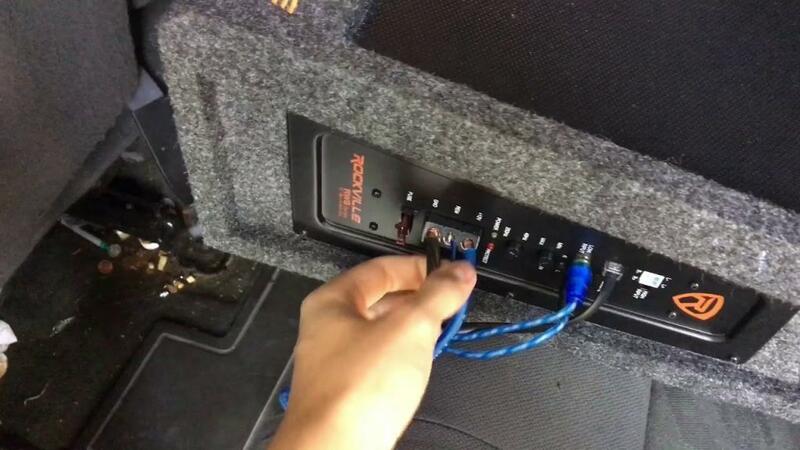 This space-saving design means that you can install this sub easily into almost any type of vehicle at all. And because the enclosure comes in a black carpet that’s scratch-resistant and non-slip, you can be sure that it will last a very long time. Now, what’s the catch? Of course there’s a catch. Don’t expect this sub to give you an earth-shaking bass. It is a compact sub after all. But for its size, we’ve got to say that this bass tries. Does not deliver as much bass as regular sized subs. If you need a sub that delivers on bass but you can’t afford to splurge, then the Kicker 10C104 is what you should be going for. For their price, these subs actually deliver a very high level of value. You get a nice bass, your pocket still smiles at you, and everyone is a winner. Alright, time to check out the engineering and technology behind this thing. The sub comes with a polypropylene cone that’s flex-resistant. Plus, the cone also features a back bracing that rotates 360 degrees which means that it can hit really low lows without necessarily giving off any form of distortion. Also, there’s the foam surround ribbed to provide long excursion while the cone remains on target. And since the surround is also double stitched, you can be sure that it won’t start coming apart at the seams before you’ve had time to benefit from your investment. Furthermore, the sub comes with a steel basket that’s tough enough to give a dependable foundation for a really big bass. And to ensure that this does not break down on you, there’s an extensive venting system. So, now, no matter how heavy the bass gets, your sub will still be on point. This sub comes with an RMS rating of 150 Watts so it really brings out the bass in your music. And since it comes with an impedance of 4 ohms, there’s hardly any car amp that this sub cannot comfortably work with. We like how this works both in sealed and ported enclosures too. In fact, you can even use this in free-air applications. Works in almost enclosure and with any kind of amp. Does not deliver real hard, kicking bass. 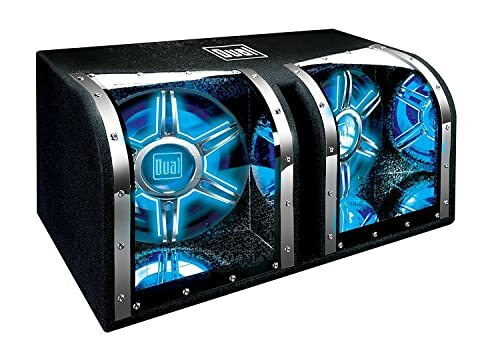 10 Dual Electronics BP1204 12inch Enclosed Car Subwoofers – Best Sub Under $100 With Awesome Aesthetics! Dual Electronics might not be as popular as JL Audio or Orion and the rest, but it still makes some pretty decent subs. Its BP1204 is a fine example of some of its best work. And the first thing that strikes you about this sub is that it looks really good. So, when it comes to aesthetics and design, this sub does really well. Check it out. In the subs, you’ll find a lighting system. So, it won’t just provide the much-needed bass, it will also add some oomph to the entire look of your vehicle interior. And if you don’t like it, you can also turn the lights off. There’s a control for that. And there’s more…. The enclosure features mirrored chambers, viewing windows made of Plexiglas, MDF construction nailed and glued, plus carpet covering and added bracing. So, if you love a sub that works great but looks also matter to you, not to forget a competitive price, then this is the sub for you. The Dual BP1204 consists of a pair of subwoofers, each 12 inches and rated at an RMS of 300W each. So, it’s a total of 600W for the entire unit. And to make this highly durable, this unit comes with some pretty neat features. You’ll find the polypropylene cone which comes with a finish in brushed chrome. Also, it comes with steel baskets as well as treated foam surrounds too. All these will ensure that your sub remains durable for as long as. Comes as a pair of subs. Some people might not like the lights but you can turn them off, though. Power handling capacity is quite low. Whatever your knowledge level, we bring to you an extensive guide that will help you choose the best subwoofers for your car. And because we know that there are different people going through this guide, we will try to give an in-depth explanation. Plus, we will also try to give tips that will help you choose not just the best car subwoofers but the best subwoofers for you. 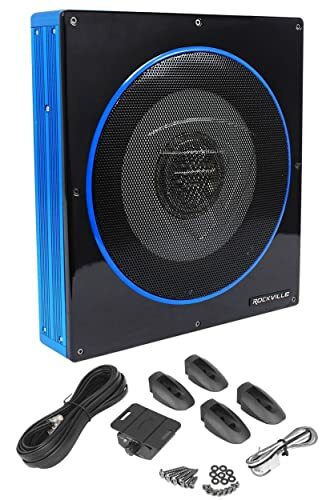 A subwoofer is a kind of speaker box, but this time, it specifically reproduces low-frequency sound aka the boom-boom sound you get from the cars of college students on their way to a weekend party or club. You get the picture, right? So, yeah, subwoofers are responsible for that. But that said, even if you prefer soft music, there’s a lot that a quality subwoofer can do to help your sound most remarkably. Your car speakers are just not enough and that’s because they are really small. And being small, they can only cover small frequencies. Now, if you could just support those car speakers with a good subwoofer, even if it’s an 8 inch subwoofer, you’d be surprised. Of course, a larger subwoofer will do a much bigger job than a smaller subwoofer. But then again, it isn’t exactly a simple process picking any sized subwoofer. It might not be compatible with your car’s sound system. There are ways to address that, though. But just before we get to that, let’s look at something equally as important. 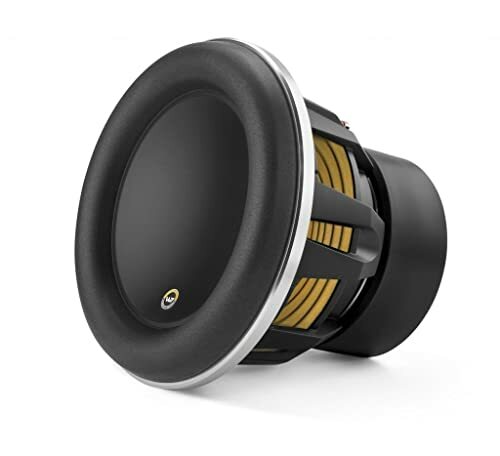 We have envisaged some of subwoofer needs that most customers look out for when searching for car subwoofers. See if any of them matches your needs and check out our solutions to each one. If you’re looking to create a personalized system, then start by looking at component subs. Now, note that a component sub isn’t a subwoofer on its own. It’s just a speaker. You’ll have to mount it on a subwoofer box for it to work properly. Also, you’ll have to use an external amp to power the sub for it to perform maximally. Component subs come in a wide range of sizes from 8 inches to 15 inches. And you can also choose between those that operate on high power and those that operate on low power. Other things you’ll need to consider when checking out component subs are voice coil setups and impedance. You’ll also have to choose the right model with the right factors which will match your car’s sound system. If this is what you want, then look out for enclosed subs. Unlike component subs, an enclosed sub comes already mounted on the subwoofer box. So, you won’t have to get a box for it separately. In fact, with this type of subwoofer, you hardly do any work. You don’t have to design or build anything, but, of course, it has its drawbacks. You won’t be able to have as many options as someone who goes for a component sub, for instance. There are only limited choices when it comes to the number of speakers and the box types you can pick from. Nonetheless, you’ll still need to get an external amp to power this sub as well. The best subwoofer solution for this type of need is a powered sub. In a powered sub, the woofer and amplifier are packaged together in the same enclosure. And since you won’t be getting any external amp, the powered sub saves you some space. Powered subs are usually compact but they also come with smaller amplifiers and drivers. So, though they save space, you might not get that big, powerful bass you might be going for.But then again, they are very easy to install and they make great add-ons for most stereo systems. 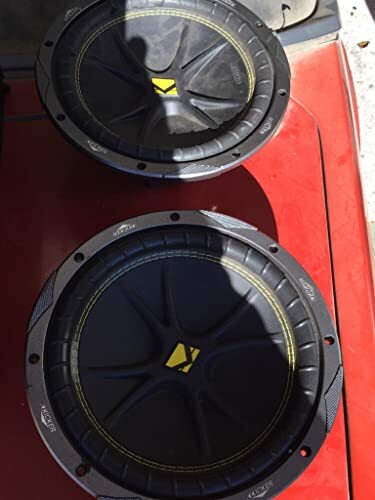 If this is your subwoofer need, then check out vehicle-specific subs. Yes, there are such things as vehicle-specific subs. And you can find them both unpowered and powered. Vehicle-specific subs are designed in such a way that they fit many tricky locations in trucks, cars, and SUVs. And with most of them, you can also color-code with your car’s interior. Note though, that this isn’t your best bet if what you’re looking for is a big bass. But for the most part they will suffice without having to take up so much space. 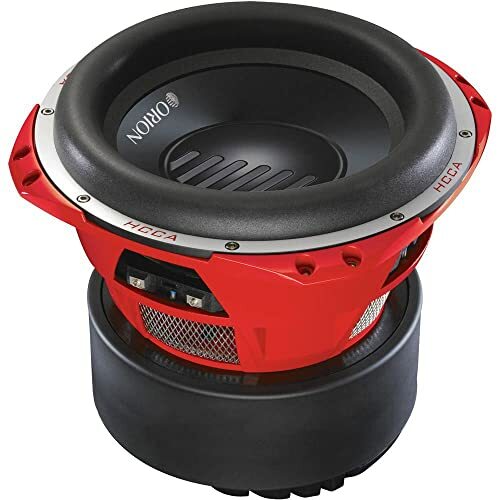 Now that you the available options in car subwoofers, you need to check out some other key factors that make for the best choice. If you want a big, powerful sound, then you need a sub that packs plenty power. You want to check the RMS power ratings to be sure. Now, don’t make the mistake of checking the peak power rating. What you’re looking for is the RMS rating. 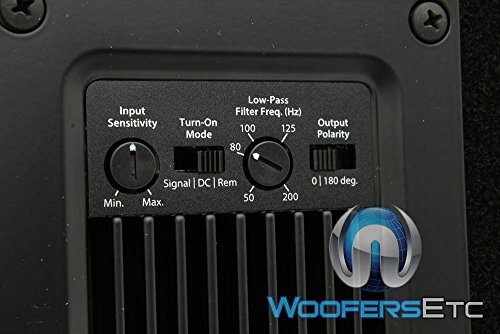 The RMS rating is what gives you the measure of continuous power output that your woofer can generate. Also, remember that the power of your sub must be compatible with the power output of your amp. Working closely besides power to deliver on a high output when it comes to woofers is your sub’s sensitivity. If your sub is very sensitive, then it won’t even require a lot of power to deliver on excellent sound. On the other hand, a sub that isn’t as sensitive will need to be backed by a lot of power to generate the same level of sound a sensitive sub would give. The frequency range of a sub tells you how low it can go. Although this is also determined by other factors alongside. Factors like what type of box you mount the sub on. Sealed boxes give a much louder and more accurate sound than any other type pf box. But for a loud volume, ported boxes and bandpass enclosures work better. Subwoofers with dual voice coils offer more flexibility than single voice coils. This is because each coil has its own separate connection. However, both come mounted on the same cylinder and in connection to the same cone. You could say the bigger the woofer, the louder the sound and vice versa. But it’s never that cut and dried. A lot of other factors are also responsible for big sound like we have explained before. But then again, if you’re really big on a loud, low bass, then maybe what you want is the biggest sub. However, don’t look down on smaller subs because if you power them right and give them the right enclosure they could also surprise you. Even though it’s most common to find subwoofers with a 4 ohm rating, things are gradually changing. 8 ohm subs, 2 ohm subs and dual voice coil subs are becoming increasingly popular too. After you’ve made your choice of a sub, you want to choose an amp that matches your sub in power and impedance. You shouldn’t have a problem with that, though. Those things are ubiquitous. 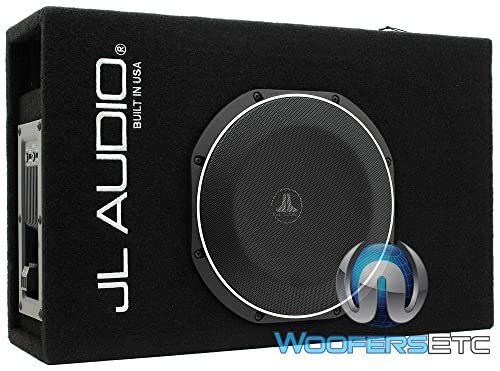 Because we know that you’re are here for some ground-shaking, heart-thumping bass, we’ve got to hand it to the JL Audio 12 inch Single 3-Ohm Subwoofer. It’s the best sub for the audiophiles in the room and customer reviews on this sub easily prove that. Even more, the technology and engineering on this sub are out of this world. And the sub is also quite durable. Not to mention that few brands compare to JL Audio in the industry. So, altogether, we’ve got to say that the JL Audio 12 inch Single 3-Ohm Subwoofer is our clear winner in today’s review.